This holiday season, employers and employees alike may want to celebrate another year of accomplishments. Office parties are great for morale and building rapport. For employers, however, parties bring the risk of liability, and for employees, drunken misbehavior can be career-ending. With some planning, however, a holiday party can be a success. For employers, the chief worry is likely to be liability. Under the legal doctrine of respondeat superior (Latin for “let the superior answer”), an employer may be held liable for the acts of an employee. This includes the acts of an employee who is driving drunk after a holiday party. In Purton v. Marriott International, for example, the court held that the employer, Marriott, bore responsibility for the death of someone killed in an auto accident by an intoxicated Marriott employee who had not only attended but worked at an employer-sponsored holiday party. At trial, the court considered whether the driving that the intoxicated employee was doing was within the “course and scope” of the employee’s job. The trial court’s ruling favored Marriott, which had argued that driving home after work is traditionally not considered part of an employee’s “course and scope” of employment. The appellate court overruled the trial court, however, finding that the simple fact that the employee drank at an employer-sponsored party at which drinking was allowed was enough to meet the “course and scope” requirement. Purton is a case from California, but its finding is not unique. For example, Nichols v. McGraw, a case from Florida, reached a similar conclusion. McGraw, an automobile salesman, caused a fatal car accident after attending an employer-sponsored Christmas party, and the employer was held liable. Kim v. Sportswear is a case from Virginia in which an employer was held liable for an employee’s death by car that happened as she was leaving an employer-sponsored holiday party at which alcohol was served. It is true that in general, an employer is not liable for accidents involving employees who are on their way home from work, as traveling to and from work is outside the normal course and scope of employment. These three cases show, however, that one general legal rule can be overcome by another general legal rule, such as respondeat superior, and employers may find themselves having to answer for the negligence of employees who are on the way home from holiday parties. 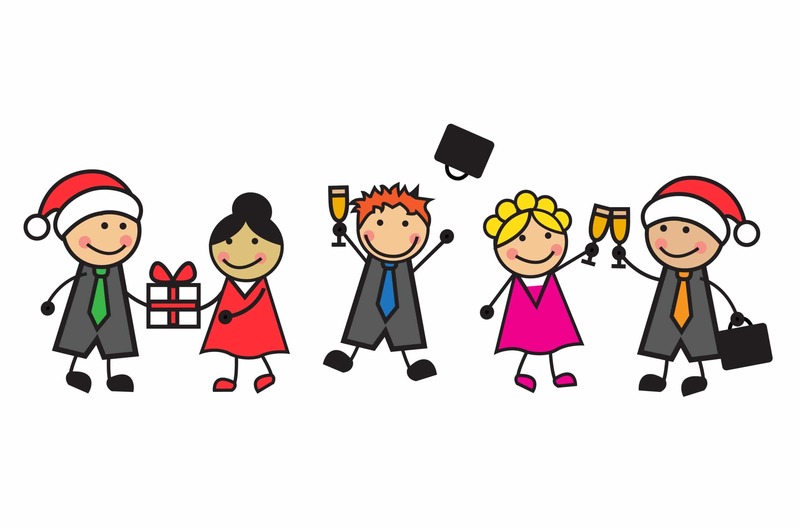 The cases also offer employers two important rules to consider for holiday parties. One is that employees should not be required to attend. If attendance is not mandatory, this helps defeat the argument that being at the party was part of the “course and scope” of an employee’s job. Requiring attendance raises another issue as well. If employees are required to attend, they may be eligible for compensation, and if an accident happens at the party, they may be eligible for workers’ compensation. The second rule is that drinking should also not be mandatory, and “mandatory” could include what is clearly expected rather than what is explicitly required. The issue of whether an employee truly could refuse to attend the party was considered in Kim. Do not require attendance. Employees may be encouraged to attend instead, for example by having drawings or other giveaways. Good food, including for employees with dietary restrictions, is another incentive to attend. Do not make employees feel they need to drink. Alternatives to alcoholic drinks should be available. Sober games and activities, for example a gift exchange, are a great way to build rapport and show that the party is not just about drinking. Rather than encourage alcohol consumption, find ways to limit it. This can include a maximum number of drink tickets, holding holiday lunches rather than after-hours parties, cash bars, serving nothing stronger than beer or wine, and inviting families to attend. Make arrangements for rides (or even sleepovers). If a party is being thrown in a hotel, for example, it may be wise to have rooms ready for those employees who are in no shape to go home. A designated or volunteer manager can be put in charge of making sure that anyone who is too intoxicated to drive gets a ride home via a ride-sharing service, a taxi, or a trusted designated driver. Do not encourage behavior that can lead to trouble, for example by hanging mistletoe. A preparty memo can outline what is expected regarding dress and behavior. As well as helping reduce employer liability, the guidelines of the preparty memo can help employees. In the cases mentioned above, one employee died and another went to prison, but these two outcomes are probably not what worry most employees. Rather, employees are likely to worry about engaging in behavior that adversely affects their career. Whether or not an employer takes steps to limit intoxication, there are steps that employees can take to reduce their risk of making a social misstep. Go, even if the party is not mandatory. Consider the party an opportunity to increase your social connections at work. This can make your life at work easier and your work performance better. But go to have fun. Do not be a wallflower. The point of going to the party is to build rapport, not to show you don’t know how to do that. Mingle. Introduce yourself. Don’t talk about work. Find out things about your coworkers that you do not already know. Secretly attracted to someone? Keep it a secret. Do not overindulge. One drink or two for social lubrication may be appropriate, but getting drunk and engaging in loutish behavior never is. The holidays can be stressful, but they are also a time to celebrate a year of achievement. Office parties endure because they increase a team’s morale. For employers, this can be a good reason to throw a party while taking steps to limit liability risk. For employees, the picture is similar; with a checklist kept in mind, the benefits or going to the office party can far outweigh the risk. Next : Do You Have a Micromanager Menacing Your Employees?